Upgrade Your Garage - Home Building Products, Inc. If you are doing a home renovation project to further improve the curb appeal, it’s important to update your garage doors. In fact, it covers one-third of your home façade and it is the very first thing people see when they enter into the home. “Regardless of whether a homeowner decides to replace their entry-level garage door with a mid-grade door, or change out their mid-level door for one at a higher price point, garage door replacement takes two of the top three spots for improvements that cost less than $5,000,” said Joe Dachowicz, vice president of marketing at Overhead Door Corporation, one of the nation’s largest manufacturers of overhead doors and openers for residential and commercial applications. the nation’s largest manufacturers of overhead doors and openers for residential and commercial applications. 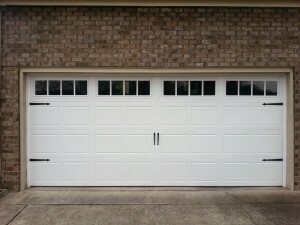 Nearly all busy households employ the garage door as the home’s principal doorway. Considering that, garage door replacement is not solely a nice way to welcome yourself home each day, but a wonderful strategy to help your home stand out from your neighbors’. Call us and we’ll show you how big a difference a garage door upgrade can make!